Joe Rogan has interviewed hundreds and hundreds of fighters over the years, but he’s never felt threatened by any of them. Speaking on a recent episode of The Joe Rogan Experience, the UFC commentator was asked by Brazilian actor Rafinha Bastos if he has ever felt unsafe while interviewing a fighter. 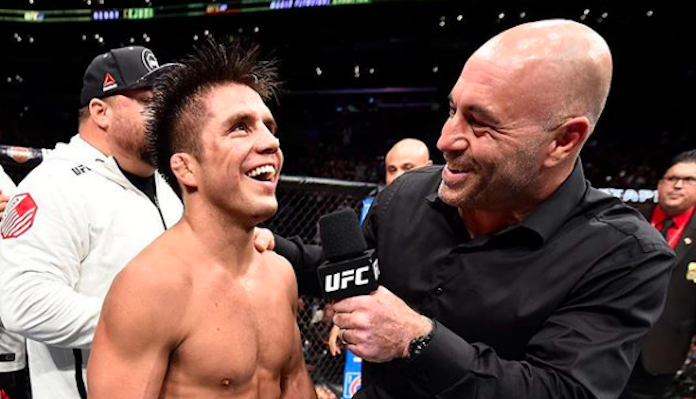 Rogan responded with a firm ‘no’ and outlined his primary goal in every fighter interview he conducts. “One thing that I hope the fighters realize is that what I’m trying to do is only get them to express themselves,” Rogan explained on his podcast. “I want them to shine. I really genuinely want them — they won this big fight! I want them to express themselves. I want them to maybe maximize their marketing, their marketing ability, and just tell the world how they feel. Joe Rogan has been working for the UFC since 1997. Initially, he served as a backstage interviewer for the promotion, but eventually moved into a color commentary role. He has worked for the promotion ever since, and no big card feels complete without his voice.